Halloween was my mom's favorite holiday. She loved to put up Halloween decorations and really got into the spirit of it (so to speak). 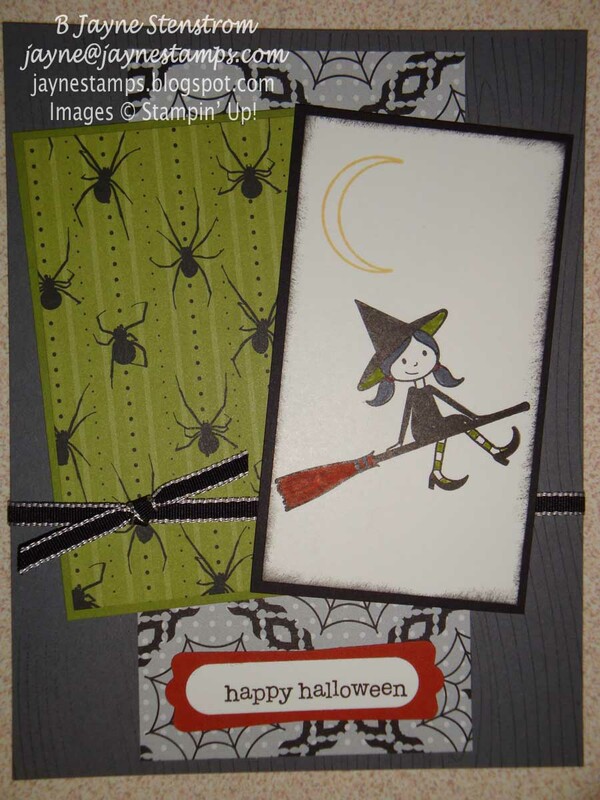 So in honor of my mom, I have a couple of Halloween cards made with sets from the current Holiday Mini Catalog. 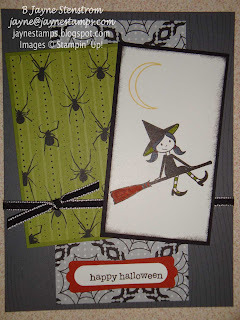 Sara Bolz made today's first card using the Out on a Limb stamp set. 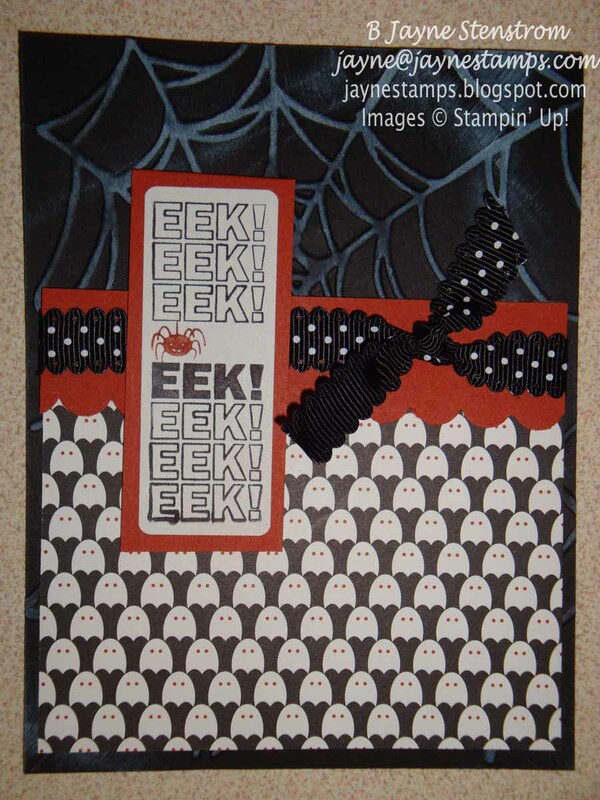 This stamp set is more on the cute side than scary. And it has a GREAT cat image that I WANT. The DSP she used was from the Frightful Sight paper in the regular IB&C. I have to say that those spiders do creep me out a bit. They're a little too realistic-looking for me. Michele Pelky created this next card. She used the It's a Wrap Holidays stamp set from the Holiday Mini. These images were designed to fit perfectly around a chocolate nugget, but as you can see, they work well on cards too! She also used the Frightful Sight DSP from the IB&C. The background was made by running Basic Black cardstock through the Big Shot with our Spider Web Textured Impressions Embossing Folder. She then added some white craft ink to the raised images, so it really has a spiderweb-likeness about it. So if you're a Halloween nut like my mom was, there are lots of products in the Holiday Mini Catalog that you should be sure to check out. You can get your spookiness on and do some creepy creating yourself.